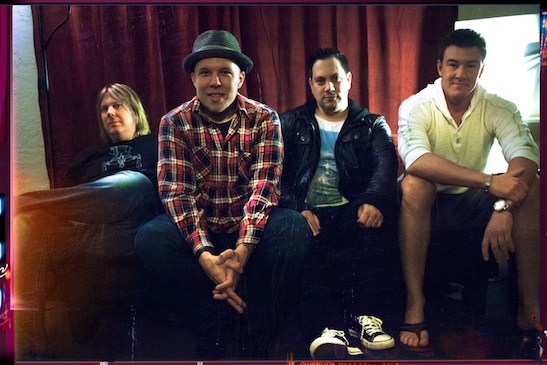 You read that right … the classic lineup of the Ataris are back to perform their million-selling album, So Long, Astoria, in its entirety. Joining frontman Kris Roe for the jaunt will be John Collura (guitar), Chris Knapp (drums) and Mike Davenport (bass). The tour kicks off February 28 in Scottsdale, Arizona and will find its way to the East Coast by the end of March with support from Authority Zero, Drag The River, Versus The World and Gasoline Heart on various dates. Mike Davenport was kind enough to give us the lowdown on how it came together as well as how it’s about to go down. Whose idea was the reunion? Mike Davenport: It originally was our drummer Chris’s idea. He is a mortgage broker now and the last one we expected to wanna rock. He came to one of my Versus The World shows and once I knew he was down, I put the wheels in motion. It took a solid year after that clearing everyone’s schedules but a year and half later we are ready to rock. Which band member was the hardest to get signed up for the reunion? Mike Davenport: No one was harder than the other. We all were down but since we all 4 have very different lives now as I said before, getting us a month and a half of time that worked for all 4 of us was the most complicated part. Do you remember the last time you all (Kris, John, Chris, Mike) played together (aside from tour rehearsals)? Mike Davenport: It was Halloween of 2004. We played in Orlando Florida and at the time it was the last show after 2 solid years on the road supporting Astoria. We were all exhausted. We never really broke up. We just played that show and were going in hiatus for a while. By the time we were ready to work we were all doing different projects. We just really need a break after 10 years. How have you all been preparing for the tour? Mike Davenport: Rehearsals have been intense. Kris is a perfectionist and after 10 years apart we want the shows not to be just good but amazing. I think our fans are gonna be stoked. What song(s) off of So Song, Astoria are you most looking forward to playing? Mike Davenport: “The Hero Dies In This One” is my favorite song on the album. We never really played it live together and it’s one of only 2 songs we wrote on that album as a band. It’s the best representation of the best of times of our band. I can’t wait to rock it for real. Did you hear that Ataris fans? Get stoked!